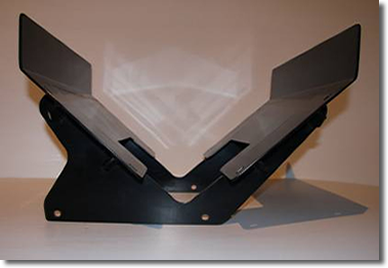 Our support brackets are engineered to handle the added weight and strain from using extensions on dry fertilizer bins, especially since bin extensions will add an additional 400lbs of fertilizer weight on the factory brackets. When you are in the field you do not have time for breakdowns. Our system provides peace of mind. We guarantee that our heavy duty system will help to safeguard against breakage with the extra weight in the planters. Installation hardware and fasteners are stainless steel to avoid corrosion. 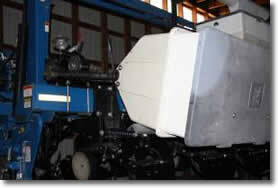 Our kits are available for all planters equipped with Kinze dry fertilizer hoppers. 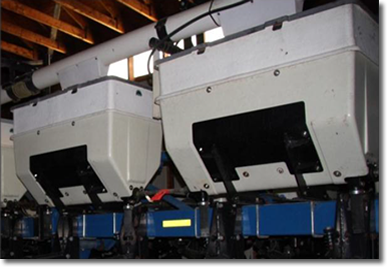 They utilize the stock mounting holes in the bin as well as the existing Kinze frame mounting brackets, which allows for easy and accurate installation. 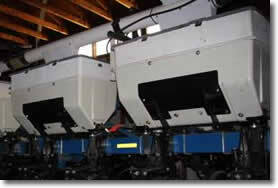 Kits are available for 8 to 16 row planting systems. Please contact us for shipping rates. There is quite a comparison as seen above. 1. 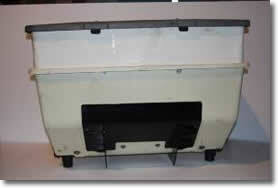 Remove the factory brackets then simply lower the hopper into our heavy duty support bracket. 2. 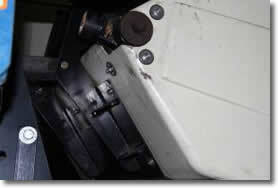 Using the factory hole locations and our supplied stainless steel hardware fasten the hopper securely to the new bracket. 3. Lift the hopper into position and align the two rear holes in the factory frame-mounting supports to the rear bolt holes in the new support bracket. 4. Bolt the two together leaving the bolts only snug for now. Reinstall the fertilizer auger. 5. 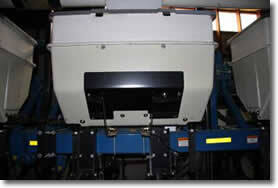 Tilt the hopper forward into the upright position. Tighten the front and rear bolts. 6. 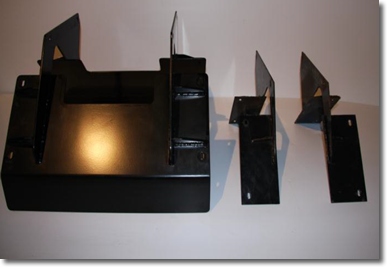 Our brackets are designed to utilize the factory bolt holes in the frame support brackets to securely mount the hopper into position.